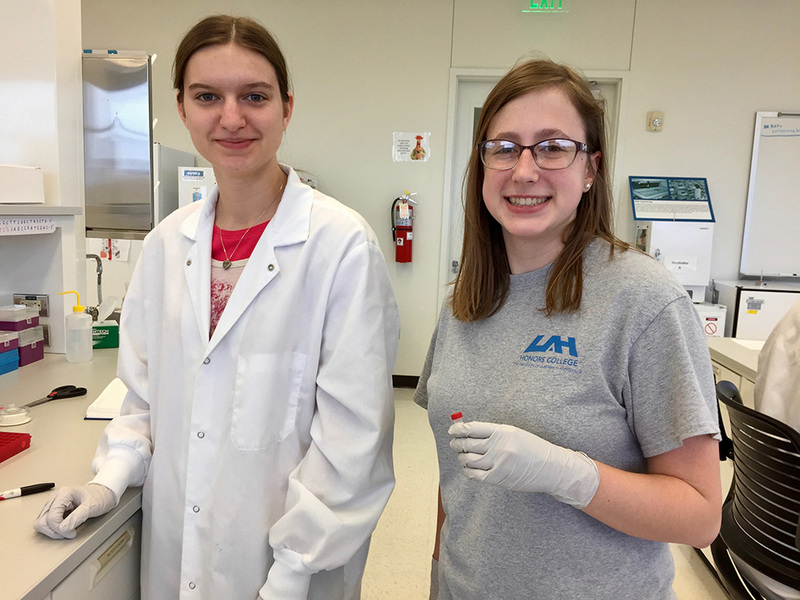 The PORTALS class at HudsonAlpha provides undergraduate students at participating institutions with skills and confidence for success in a future research lab setting. Students enrolled in the course will earn three hours of elective science credit over one semester. Participants learn essential molecular biology lab skills – preparing them to confidently transition to a research lab. The PORTALS class meets at the HudsonAlpha Institute for Biotechnology. The HudsonAlpha campus gives class participants access to a world-class research environment. Tours and discussions provide an opportunity to learn about the wide range of careers available in the fields of genetics, genomics and biotechnology. While on campus, students are able to attend research seminars and experience the realities of a professional business environment. Each student is required to be present in the lab a minimum of nine hours per week and is graded on attendance, record-keeping, participation and skill/content knowledge development. In addition to the hands-on practical laboratory work, the students are given instruction in responsible conduct of research and professional development. PORTALS is structured as a three credit hour science elective course. The PORTALS undergraduate class is currently open to students from Athens State University during the Fall semester. Partnerships to offer PORTALS through additional institutions are in progress. 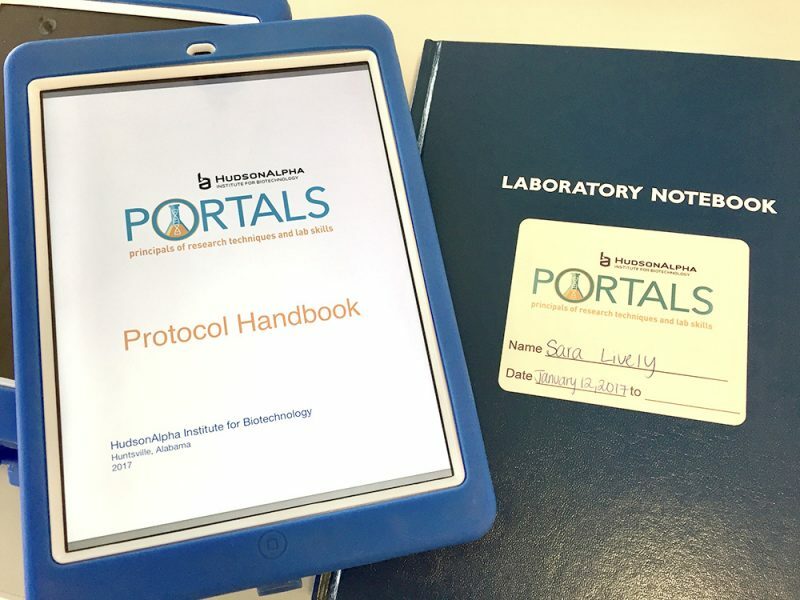 Undergraduate students who would like more information about registering for the PORTALS class can contact Michele Morris at mmorris@hudsonalpha.org.